KENDRA SCOTT IS OFFICIALLY IN NEWPORT, AND I HAD THE PRIVILEGE TO BE THE VERY FIRST CUSTOMER IN THE STORE AS SOON AS IT OPENED! 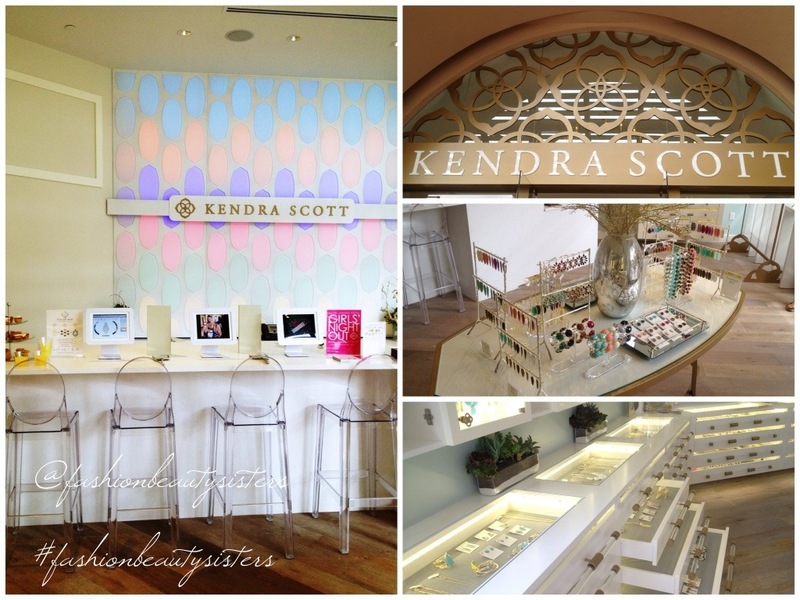 Congrats Kendra Scott to you and your entire team- the store is STUNNING!!! 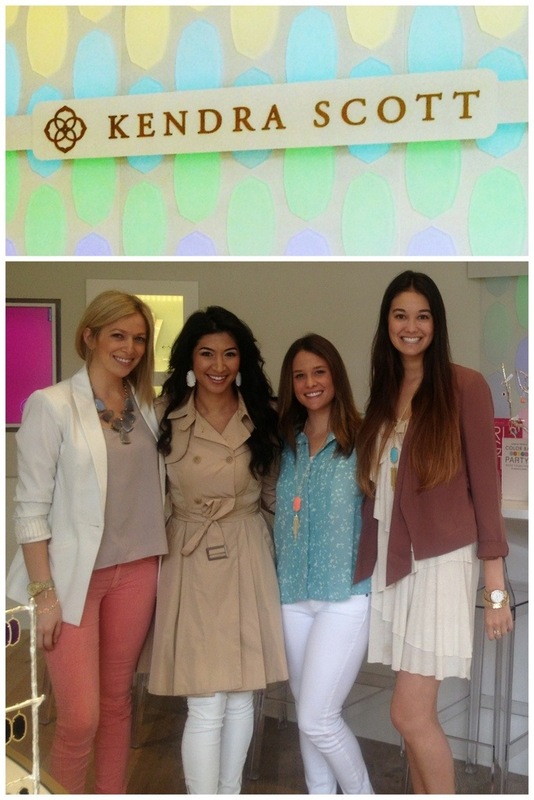 I’m pictured above with the GORGEOUS KS staff at the Newport store. Of course I wore my Danielle earrings. When visiting a designer, it’s only proper fashion etiquette that you wear his or her pieces. The staff was so sweet. They had breakfast pastries and mimosas ready, paired with SUPERB customer service. Shopping at this store is a dream. I have a few pics of the store details in this collage, but you HAVE to visit for yourself. They have the most gorgeous, clean, and fabulous display cases, layout and vibe. It is 100% true to the KS brand! 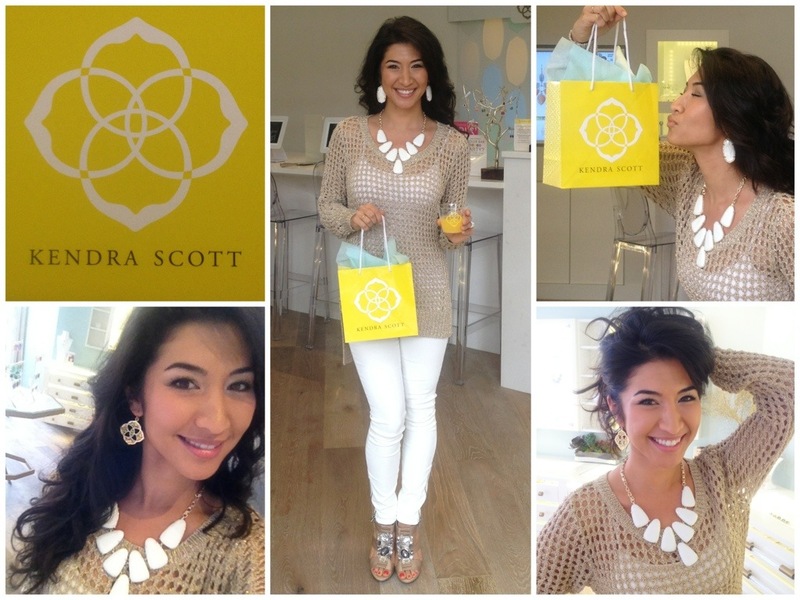 The Harlow necklace in white is a reward I got myself for recently reaching some big, personal goals and achievements. It made it SO much more exciting and gratifying. 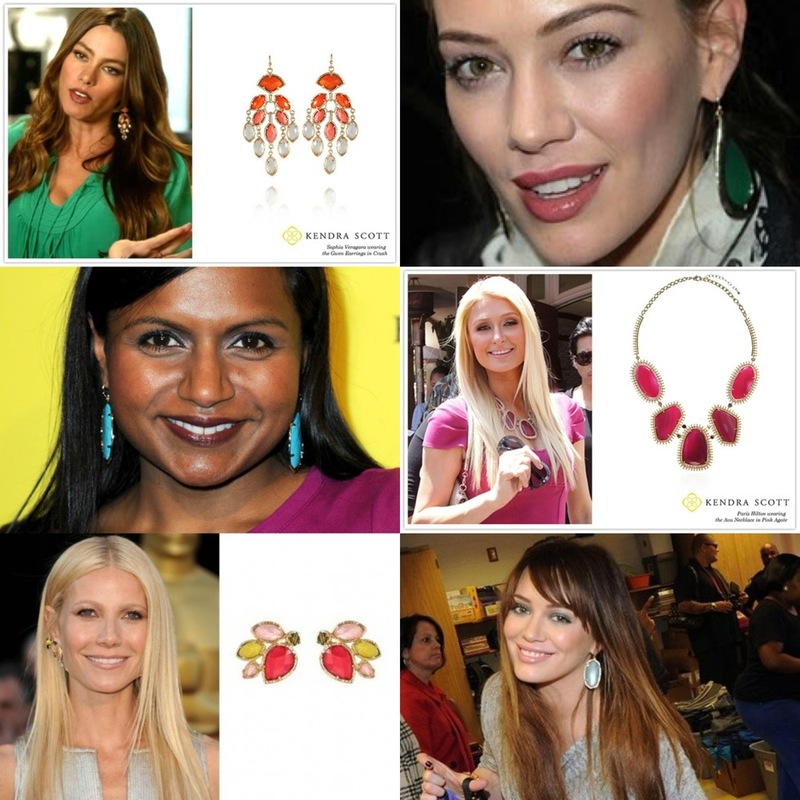 Harlow is a celebrity favorite (I personally love Hillary Duff in her green one). I’m also showing my new Dawn Medallion earrings. These are the PERFECT everyday earring. They can be dressed up or down (as it is with ALL KS pieces). 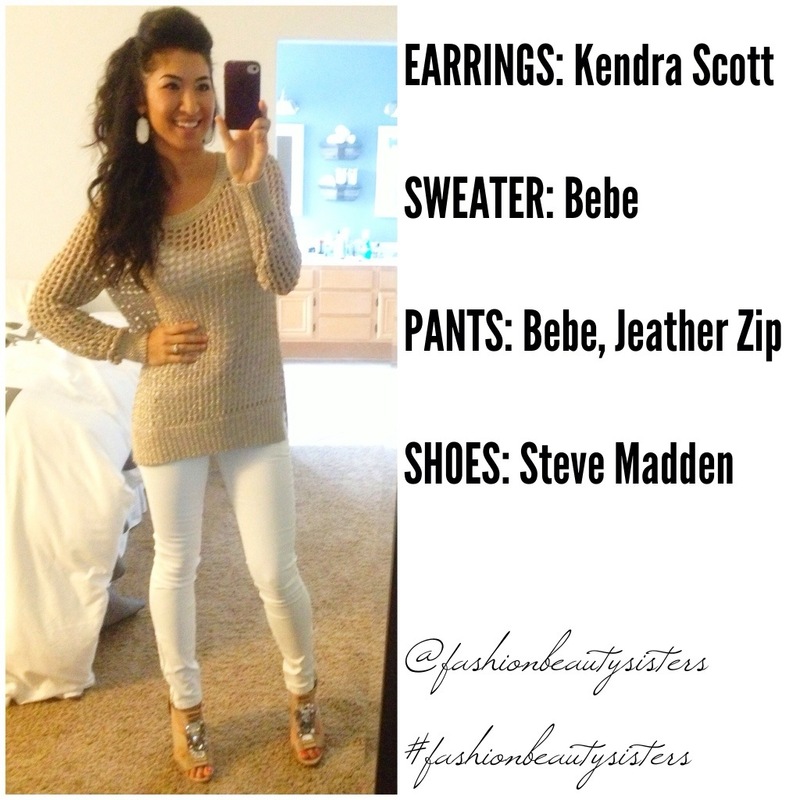 I find Kendra Scott jewelry to be the highest quality, beautiful designs and so AMAZING to wear. It always takes great photos, and her pieces match with every outfit. You can’t go wrong. This store has an amazing color bar, gorgeous light barn wood flooring, insanely beautiful entry way and a awesome sitting area. You can see I also fell in love with the Allison earrings in purple, so they left with me. I picture wearing them on vacation, in a dress by the water, with a pony tail in my hair to let them sway around. They are so fun and happy-go-lucky! I love the rich color too. 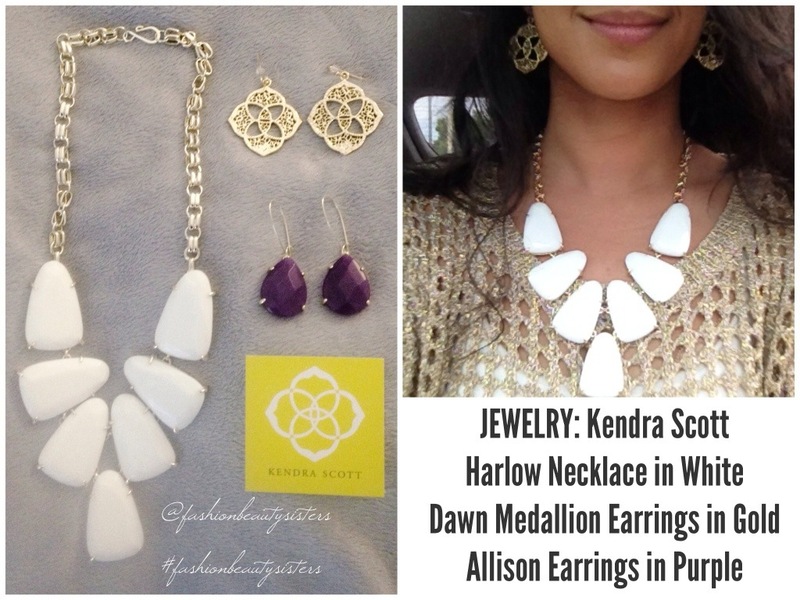 Now go shop Kendra Scott!! !